Bring some freshness and creativity to your everyday meals by picking a great meal delivery service. Both services offer innovative and healthy meals at reasonable prices. Check out our comprehensive Terra's Kitchen VS What A Crock comparison to learn more about both services and choose the best option for your family. Terra’s Kitchen is a meal kit delivery service whose menu is inspired by the Mediterranean cuisine, which makes its meals both good for your health and a joy for your palate. You can choose from over 50 different recipes that are quick and easy to make. 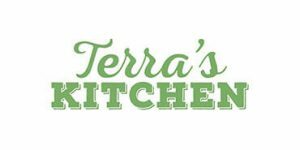 Learn more about what this meal kit service has to offer in our detailed Terra’s Kitchen review.